Long Reach Pruner Supplier in Taiwan - Wise Center Precision Appliance Co., Ltd.
We are the global leader in Tools We develop, manufacture and distribute groundbreaking tree pole pruner, long reach pruner, long arm pruner that shatter the status quo and help customers gain and maintain a competitive edge. We have earned a good reputation based on the quality, competitive prices and punctual delivery of our products. 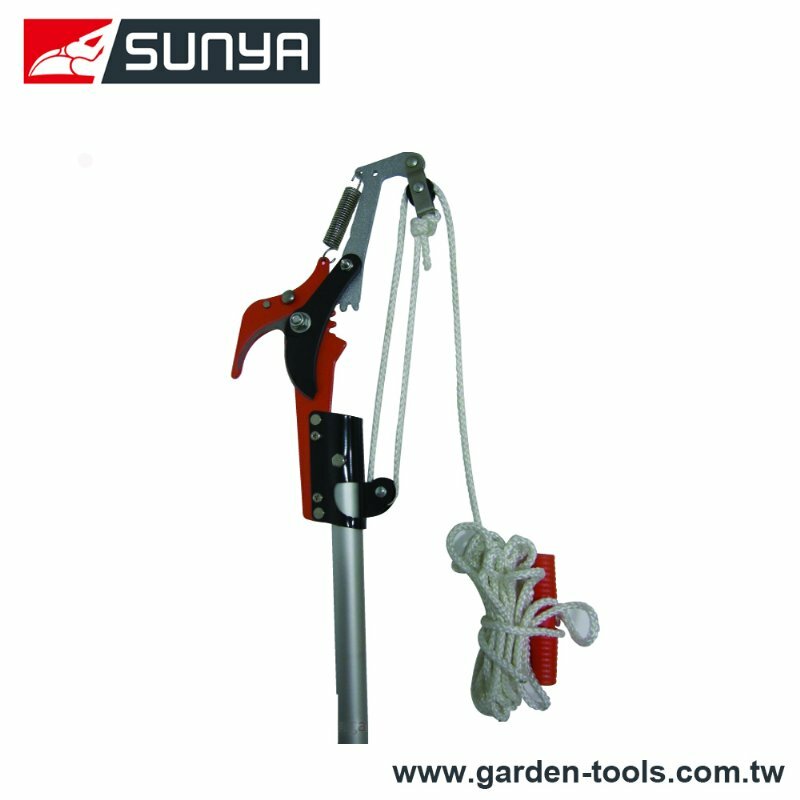 As a leading manufacturer of tree pole pruner, long reach pruner, long arm pruner, our products have a reputation for quality. We have maintained a meaningful relationship with prestigious vendors and manufacturers who have a sound knowledge in the respective domain. Dear Sir/Madam, I’m interested in Gear Action Bypass Tree Pole Pruner, 281 that your company provides. Would you kindly contact me with your detailed product information and FOB price? Thanks. As a professional tree pole pruner, long reach pruner, long arm pruner manufacturer, Wise Center Precision Appliance Co., Ltd., has an excellent advantage over the competition, developing strong designs at very competitive prices but maintaining extremely high quality. Wise Center Precision Appliance Co., Ltd. specializes in creating complex or typical custom tree pole pruner, long reach pruner, long arm pruner to meet our customers' developing and changing needs. We tackle new projects with enthusiasm and ingenuity. Innovative profiles and exacting quality control are part of our everyday work. Customer service is another commitment we take seriously, our proven reputation and record of quality support won't leave you stranded.